Every year at CES, you’ll find a small cluster of super-gadgets that stand head and shoulders above the crowd. This is the kit that draws the biggest crowds, has the greatest potential and keeps the weary tech-heads talking long after they’ve left the convention centre and ordered their first mojito. How do you out-iPad the iPad? Simple, you have to beat it on both the hardware and the software fronts. 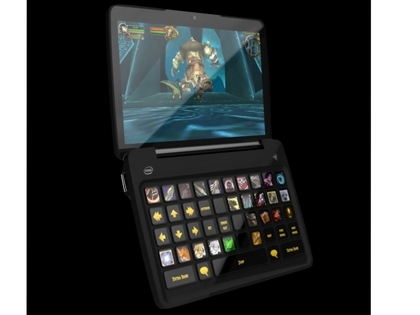 So the Motorola Xoom boasts a bigger 10.1-inch display with a higher 1280×800 pixel resolution. Under the hood there’s a superior dual-core NVIDIA Tegra 250 chip; 32GB of storage plus an SD card expansion slot; plus 5MP and 2MP front and rear cameras. In terms of software, Android 3.0 is looking very tasty. All of which means that the iPad is rudely dethroned. Time for the iPad 2. Of course, while the Xoom satisfies our lust for an iPad-beater, we’ve developed a real soft-spot for the Blackberry PlayBook. The combination of a 7-inch (1024×600 pixel) display, BlackBerry Tablet OS and 1GHz Cortex-A9 dual core processor is a definite winner. Can we have both? 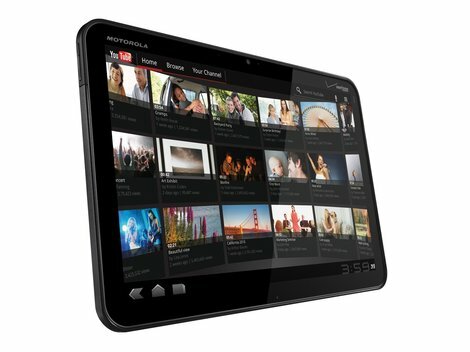 A Xoom for the living room, a PlayBook for the long plane ride home. A few years ago Motorola had fallen on hard times and just couldn’t produce products that anybody wanted. Now, the historic company is riding high on the back of a successful phone business that includes the Milestone/Droid family, Dext, Defy and now the stunning Atrix. 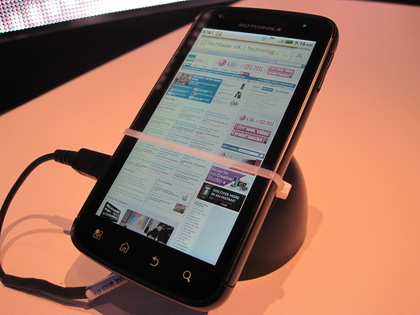 Dual-core processing power points the way all top-tier smartphones are heading. The fact that you can plug the Atrix into a laptop dock proves that Motorola is thinking beyond your pocket. Yes, it’s still a prototype. 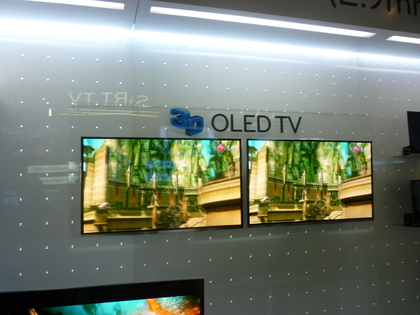 But this 2.9mm-thick OLED telly is the desirable shape of TVs to come. 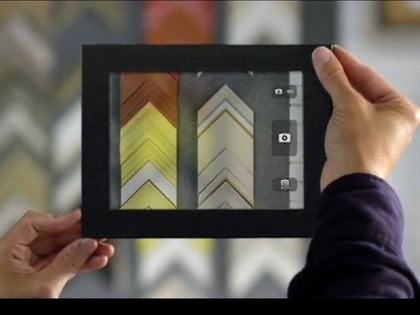 It’s the world’s slimmest OLED model, although the competition isn’t that fierce. If we managed to run off with it, we’d enjoy 1920×1080 HD visuals with passive 3D functionality built-in. Photos just don’t do it justice or capture the fact that watching it is like a free spa day for your retinas. Looking like a prop from the set of Tron: Legacy, Sony’s 3D headset concept banishes the need for a wall-mounted TV, OLED, Plasma, LED or otherwise. 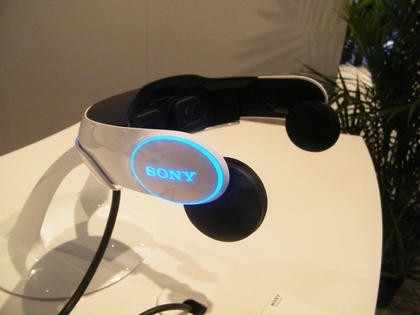 The headset itself packs two 3D OLED displays, both with a high-definition resolution of 1280×720 pixels. The resulting 3D image is incredible and given the choice of wearing Active Shutter specs or this futuristic telly-headband, we’d opt for the latter every time. If you’re going to look stupid, go all the way. 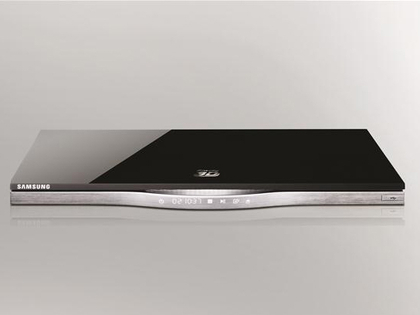 Proclaimed as the “world’s slimmest 3D Blu-ray player”, the Samsung BD-D7500 instantly appeals to our inner geek. It’s a mere 28mm tall, which is about the height of three iPhone 4s carefully stacked on top of each other. Into this teeny-tiny chassis Samsung has packed in 2D-to-3D conversion, HD up-scaling, Wi-Fi connectivity and a super-speedy three second start-up. It’s Star Wars. On Blu-ray. First the Beatles back catalogue landed on iTunes, now you can pre-order the completeStar Wars saga in HD for around £90 RRP. Of course, if you’re not fond of episodes 1-3, you can avoid the jumbo box set and go for the original trilogy, which is available on Amazon for £34. Touted as the world’s first HD 3D pocket camera, the newly announced MHS-FS3 Bloggie 3D has two lenses, two image sensors and a stereo microphone for amateur 3D movie-making. 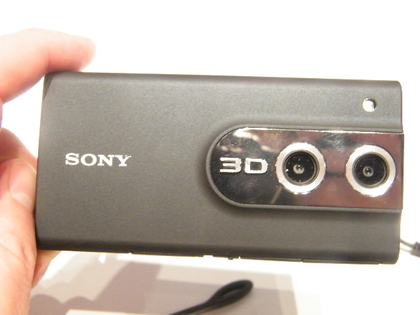 It will be cheaper than the more advanced 3D camcorders shown at CES too. Although you do have to factor in the additional cost of a 3D telly to watch what you’ve recorded. As mentioned previously, we’re suckers for technology that claims to be the ‘world’s first/biggest/smallest’. So if you see us nonchalantly whistling while we stuff the Lenovo IdeaCentre A320 into a bag, don’t be surprised. It’s arguably the world’s thinnest desktop all-in-one PC, measuring just 18.5mm at its thinnest point. A 21.5-inch display and Intel Core i5 CPU provide the beauty and the brains respectively. That’s our pick of CES 2011. What have you seen that’s caught your eye and tugged at your wallet? Let us know in the comments.